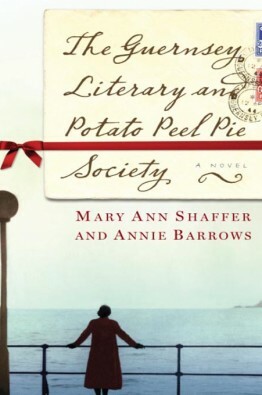 The Guernsey Literary and Potato Peel Pie Society was recommended to me by a fellow writer. It takes place after World War II on the English Channel island of Guernsey. The story is told through a collection of letters and telegrams between writer Juliet Ashton and her friends and co-workers. The story reveals not only Juliet’s story, but the story of the German occupation of the channel islands. Although I found this book difficult to get into in the early pages, by the time Juliet traveled to Guernsey, I had developed a real affection for the characters. A letter (particularly those written prior to easy telephone communication) can be a very good way to see the inner thoughts of a character, but in this case the usage of them early on seemed to make it more difficult for me to identify all of the players and their relationships, as well as connect with Juliet. I felt as if I’d stepped into a movie theater about fifteen minutes into the movie. As I said, I really grew to love these characters. I would have loved to have a more detailed accounting of Elizabeth, but I suppose that was part of this book’s brilliance, its understated form left you wanting to know more about the characters. Despite its long title, The Guernsey Literary and Potato Peel Pie Society is short and a quick read. I would recommend it to pass a long winter afternoon.